The staff at Sam Christensen Studios is comprised of entertainment industry professionals. Each maintains a successful career as an actor and/or producer and each is a graduate of The Process. Ken Cortland was born and raised in Brooklyn, NY. He attended Brooklyn College and NYU, earning a BFA in Theatre Arts. He was an active participant in the Off-Broadway and Broadway acting scene in the early 80s. 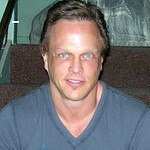 Ken moved to Los Angeles in 1984 to pursue a career in TV and film. He did co-starring and guest starring work in more than thirty-five television episodes, twenty-plus independent and studio features as well as an impressive list of commercial appearances. Ken was an early employee of the Actor Center of Los Angeles serving as senior sales consultant. When the Actors Center International was formed, Ken accepted the position of senior sales manager and junior partner to the organization. In 1990, he and Sam Christensen opened the Sam Christensen Studios and for the past 20 years Ken has focused his passion on delivering to the world the Image and Branding work Sam and he developed together. In 2007, Ken discovered a new passion – film-making – and produced the highly acclaimed independent feature The Red Machine. The Red Machine went on to win many festival awards including Best Indie Feature at the Sedona Intl. Film Festival. Roger Ebert gave the movie three and half stars, calling it “a lean, tense thriller.” Ken is currently developing two feature projects as well as expanding the SCS brand to additional cities around the USA and across the globe. Midwestern delight Robyn Heller grew up in Indianapolis, IN, graduated from the University of Michigan and began her career at Jeff Daniels’ Purple Rose Theatre in Chelsea, MI. A firm believer that busy little bees make the sweetest honey, she applies Sam Christensen’s image work in her multiple careers as an actor, singer, writer, director, producer and stunt fighter. She is honored to be a part of the SCS team as a teacher and graduate community coordinator. 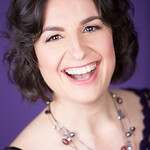 Stephanie Sheri is a vocal coach, producer and performer of musical improv in Toronto, Canada. 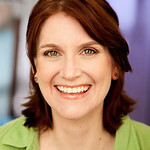 Sam Christensen’s process has been instrumental in adding more personality to her improv performances and given her invaluable tools in helping her shape her personal branding profile as she launches her new Online Vocal Program in the summer of 2013. As an active performer and producer, Stephanie eagerly looks forward to bringing Sam’s workshop back to Toronto again soon. Gerard Ender is from Colon, Panama and has appeared in principal roles in 20th Century Fox’s hit Broadcast News, as Ned Beatty’s partner in Saban Entertainment’s Blind Vision and in leading roles in a wide array of independent films, many award-winning. His television credits include A Man Called Hawk, Homicide: Life on the Street and HBO’s acclaimed, milestone series The Wire as Sam, a Turkish ship’s engineer brutally murdered by Baltimore’s Greek mob. Gerard’s theater appearances have been extensive. In all media he creats characters in both English and Spanish. His bi-lingual voice-over and dubbing work is heard everywhere in the U.S. and the Latin world. Ender is a 2012 Helen Hayes nominee for Outstanding Ensemble in the production of Oedipus El Rey. He was also nominated for Best Supporting Actor for his portrayal of Joaquin in the English version of Mario Vargas Llosa’s Spinster from Tacna at The Source Theater Festival in Washington, DC. Gerard earned a BA in Communications from the University of Maryland with a concentration in RTVF. 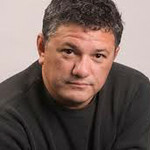 He has also produced and directed theater, performance videos, as well as corporate videos in both English and Spanish. In addition he serves as a Spanish Speaking Media Consultant. The T. Schreiber Studio established in 1969, under the direction of Terry Schreiber, veteran teacher and Broadway director. 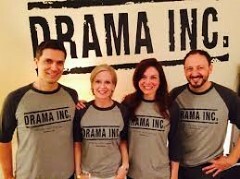 It has long been recognized as one of the foremost professional theatre studios in New York City, devoted to the comprehensive training and development of actors in a supportive and collaborative environment. The Studio’s ongoing classes are integrated into its annual season of productions in its theater space, long acknowledged as a primary force in New York’s vital Off-Off-Broadway community of artists and audience. Performance and training are balanced and allow the accomplished faculty to guide the growth of each artist from classroom to stage. The faculty of the Studio is composed of working professionals and established artists in theatre, film and television.